Did you know that the Shinsengumi were a special police force of Japan during the final years of the Tokugawa shogunate? The Shinsengumi kept the peace in Kyoto between 1853 and 1867, when Japan opened up to the West and their political situation became very chaotic. I sound like I know what I’m talking about…. Hey everyone, Joan here. 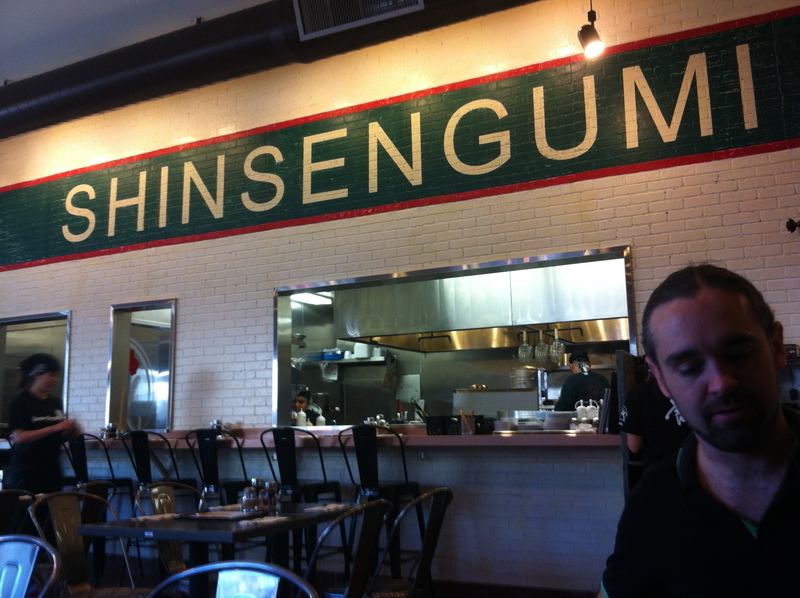 Last Friday, I went on a ramen run with my friend Max (ramen run celebrity wannabe and Bodhi Rock trumpeteer) at the new Shinsengumi in West LA. 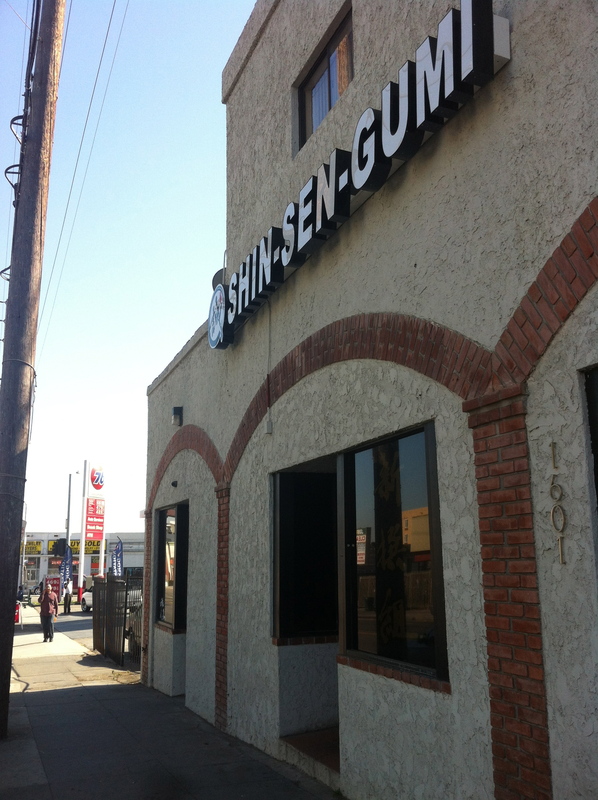 With the stiff competition of ramen restaurants in Little Osaka, I was surprised that Shinsengumi found a home on Sawtelle Blvd. 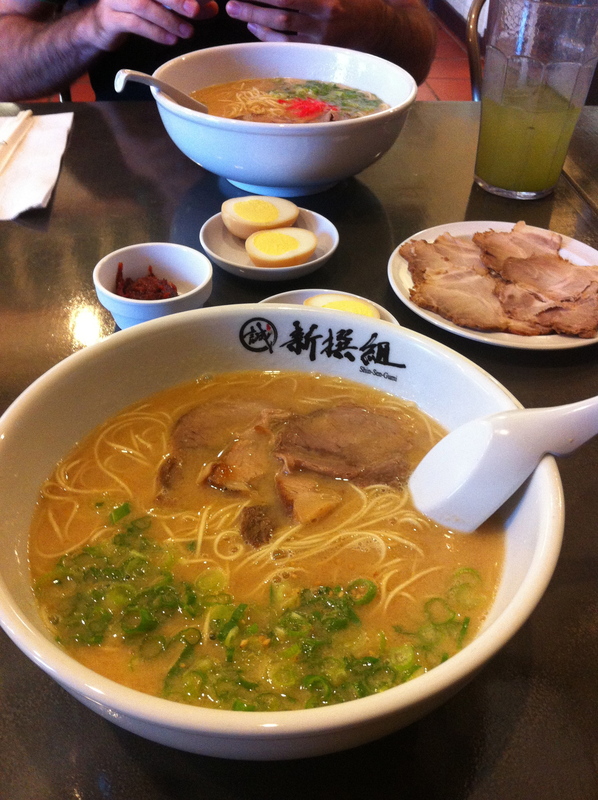 It was located several blocks north of the Little Osaka area where there’s a ramen spot on every corner. But at least the West LA folks won’t have to make a trek down to Little Tokyo in Downtown LA just for some customizable ramen! big cheeseball smile on his face. The ramen here was good overall. Everything was made exactly how we ordered them. I can’t say I was crazy about their chashu here though, it was sort of bland and too thin for my liking. I thought I was so hungry that I ordered another serving of noodles but ended up eating just half. If you’re craving a bit of heat in your broth, you should definitely order their spicy miso paste. Very tasty with enough kick to it! 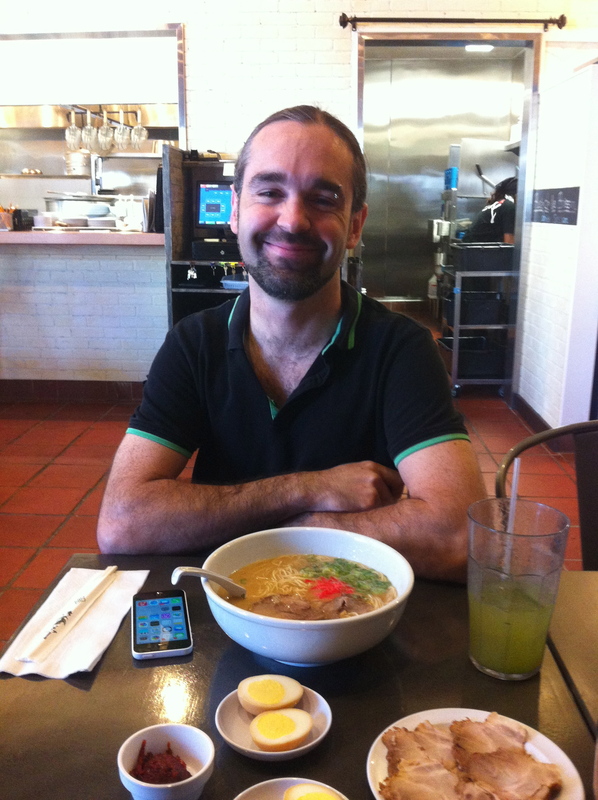 Max enjoyed the ramen but he and I agree that Kotoya (the place he introduced me to) is far more superior than here. But I always thought that places like Kotoya are more gourmet whereas Shinsengumi has that homemade taste. It always satisfies. Later that evening, Max sent me a text about a samurai movie he was watching at the moment and that the samurai school was called Shinsengumi. That sparked my interest and I had to google what Shinsengumi actually was. So there you go. You learned something today. This past Sunday, Bodhi Rock played their monthly gig at the Basement Tavern and continued their new ramen run tradition after the gig. This was the third time the band went out for ramen, and that night most of the members were there. A couple of them had ramen for the first time! 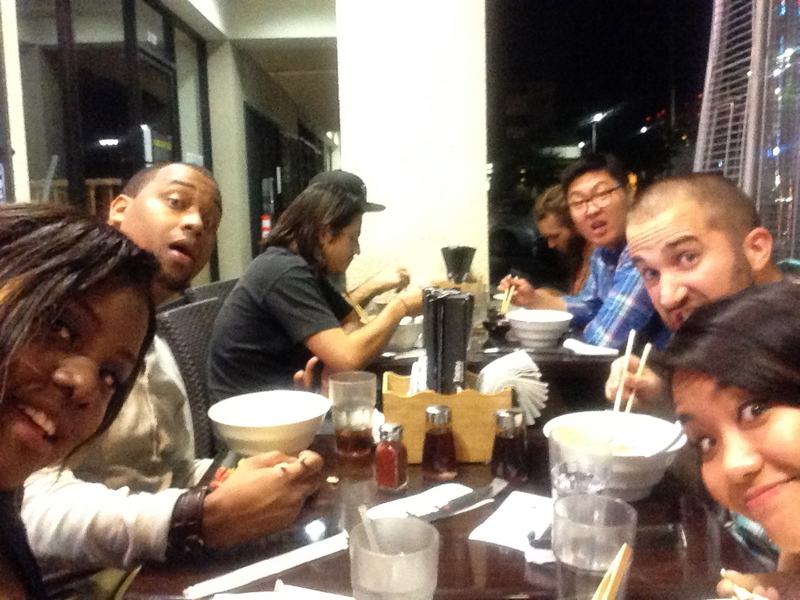 We have to thank Tatsu Ramen for being such a great late night ramen joint! and keeping the staff overtime! The restaurant is in an odd location surrounded by warehouses and next to a 76 gas station. There is street parking all around. This entry was posted in Food, Little Osaka, Los Angeles, Ramen, Ramen Run, Restaurant Review, Tonkotsu. Bookmark the permalink.